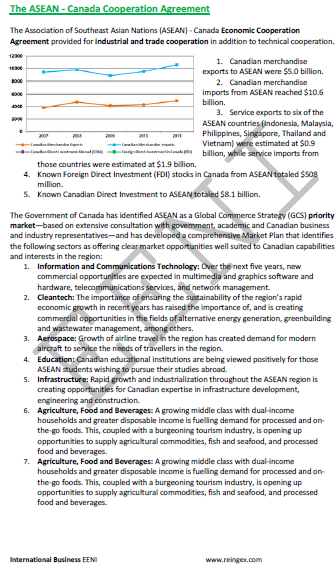 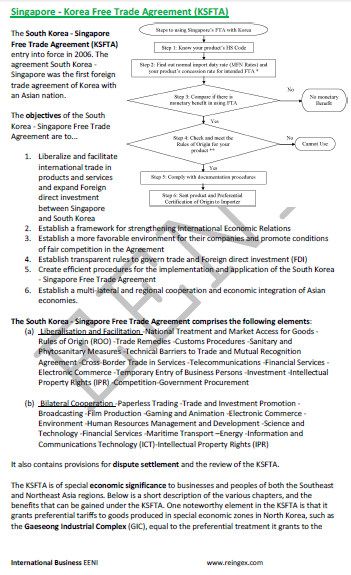 Syllabus of the Online Course (Subject): Foreign Trade and Business in Singapore. 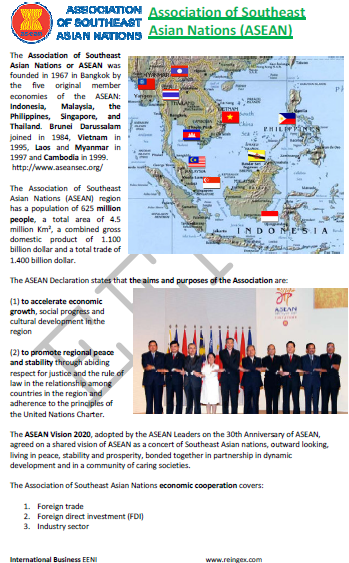 Higher Education programs adapted to Singaporean Students. 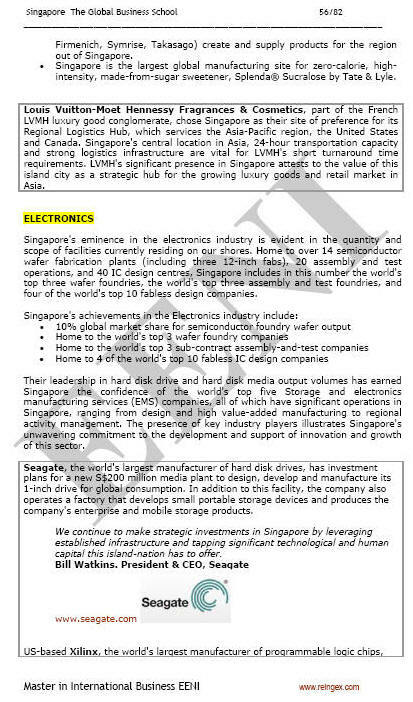 Description of the Online Course: Doing Business in Singapore. 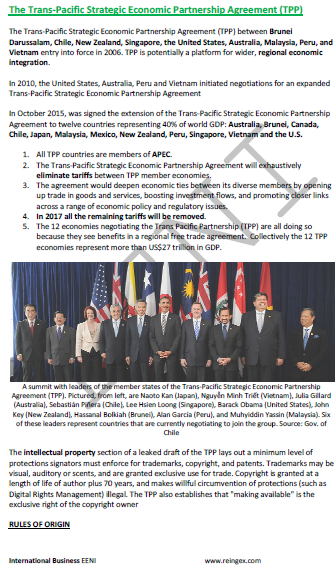 The Republic of Singapore is the second most competitive economy in the World and the most competitive small economy in the World. 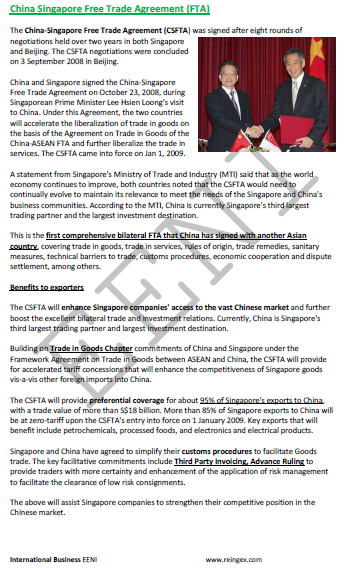 The Republic of Singapore is the second most competitive economy (World Competitiveness Yearbook), the seventh most competitive economy (Global Competitiveness), and the ninth in the Business Competitiveness Index. 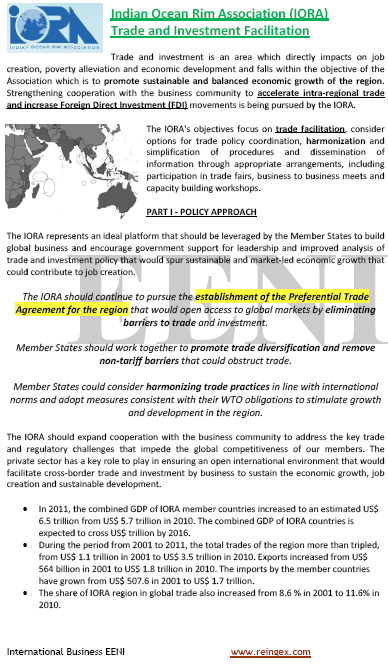 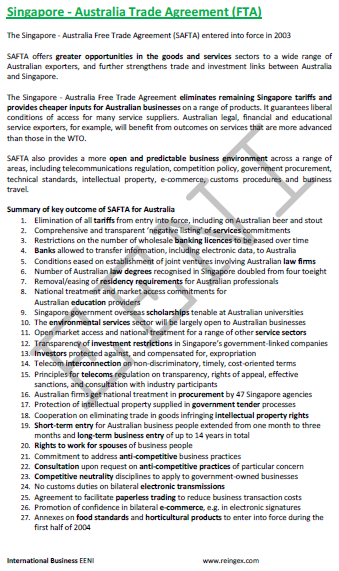 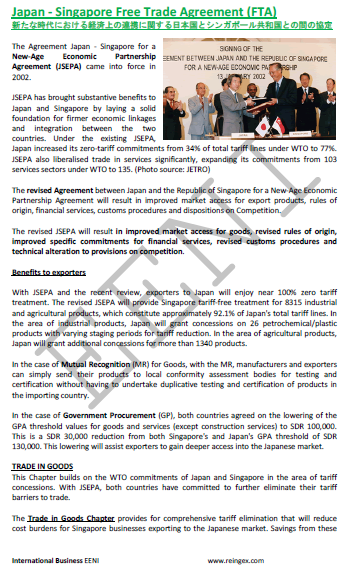 Singapore has in force several Free Trade Agreements (FTA). 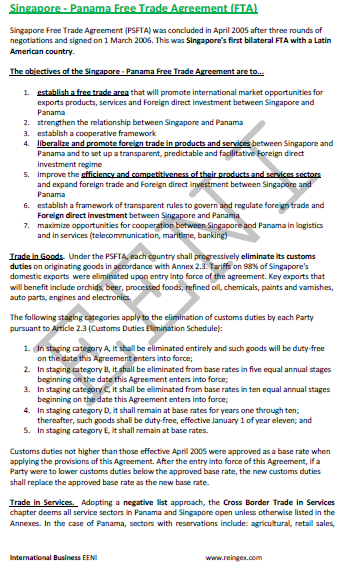 The Republic of Singapore has in force several Free Trade Agreements. 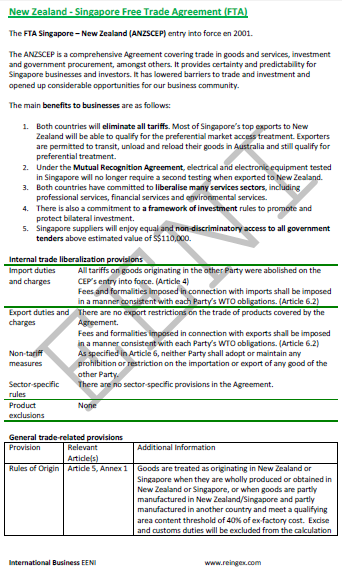 Singapore has the most extensive Free Trade Agreement network in Asia. 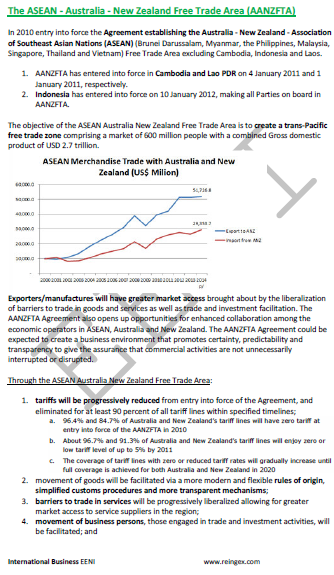 Foreign Trade Agreements have been signed with the United States, Japan, Australia, New Zealand, the European Free Trade Association (EFTA), Jordan, China, Chile, Korea, India, and Panama.